3D rendering is everywhere, and I’ve seen a great example of how you can increase designers’ productivity by rendering workloads up to 150-percent faster.1 Why does that matter? Because rendering time is critical when creating virtual-reality (VR) content today. Learn more in this solution brief. A good portion of major motion pictures and even television shows make use of a green screen with a rendered environment or weather added in at a studio later. 3D modeling for architecture, engineering, and construction (AEC) is also rapidly replacing the use of 2D blueprints. Many 3D animators and AEC users choose animation, modeling, and rendering software from Autodesk. Animation and modeling requires more than just the right software, though. It requires processing power to meet the performance demands of that rendering software, which is why I was happy to learn of recent testing results. 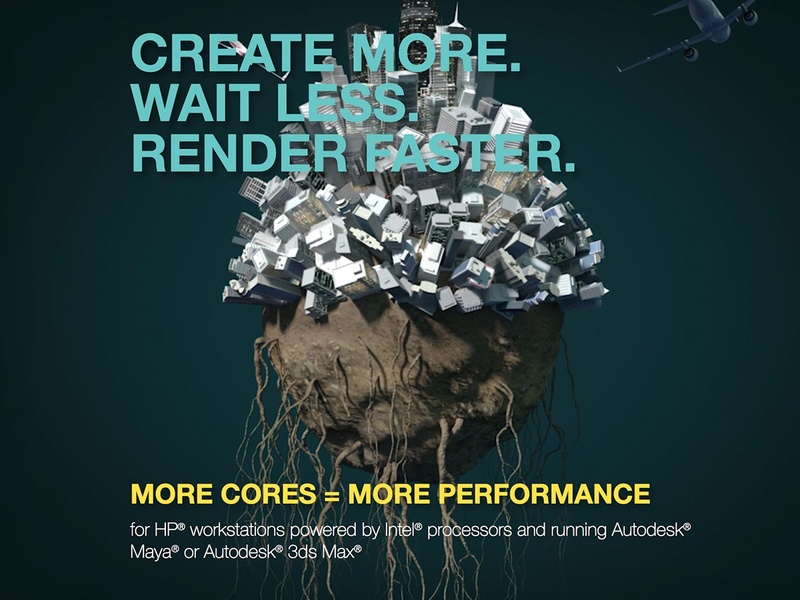 Prowess Consulting looked at the impact of core count on rendering times with Autodesk solutions and found that running Autodesk Maya* and Autodesk 3ds Max* on Intel® processors with higher core counts reduced rendering time compared to using systems with fewer cores. The advantage of rendering faster is that 3D animators and 3D modelers have more time to create content because they spend less time waiting for projects to render. See this infographic for a quick overview of results. Autodesk 3ds Max is a cousin to Maya. It is used in the AEC and media and entertainment industries to generate 3D environments, models of buildings, product designs, and VR experiences. Both solutions are popular with students and freelance animators and modelers, in addition to professionals. Both also use Arnold as the default renderer. Arnold was originally developed by Solid Angle, which joined Autodesk in 2016. Autodesk chose to include Arnold in Maya and 3ds Max because it’s easy to use and offers advanced ray tracing capabilities that are ideal for intensive rendering. What does all this have to do with Intel? Well, 3D animation, 3D modeling, and rendering workloads require large amounts of processing power. 64-bit, multi-core processors with support for Intel® Streaming SIMD Extensions 4.1 (Intel® SSE4.1) or higher are required to run Maya and 3ds Max. And rendering in Arnold is engineered to take advantage of multi-threading. So the more threads a CPU has, the more advantageous that is to Arnold. Intel® processors with more cores inherently have more threads and more processing power. One would assume a system with more cores would therefore render faster using Arnold with Maya or 3ds Max than a system with fewer. Testing showed that this assumption is correct. Prowess Consulting tested rendering performance using Arnold in Maya and 3ds Max on HP* systems powered by Intel® processors with fewer cores compared to those powered by Intel® processors with more cores. Specifically, the team tested Maya with a system powered by the Intel® Xeon® Platinum 8180M processor with 28 cores against a system powered by the Intel® Xeon® processor W-2195 with 10 cores. The results for the Maya testing were significant. The HP system powered by the Intel® Xeon® Platinum 8180M processor rendered the test workloads up to 150-percent faster than the one powered by the Intel® Xeon® processor W-2195. Actual time reclaimed was more than 16 minutes. If an artist needed to render something just four times a day, he or she could save more than an hour using the system powered by the Intel® Xeon® Platinum 8180M processor. The 3ds Max workload was tested on an HP system powered by the Intel® Core™ i9-7900X X-series processor with 10 cores compared against an HP system powered by the Intel® Core™ i7-8700 processor Extreme Edition with six cores. Even though the percentage of time saved was smaller—just under 90 percent—the overall time saved was greater, at one hour and 47 minutes. That’s for a single render. Imagine rendering a project just two times in one day and saving close to four hours. Even though I expected the systems with more cores to outperform the ones with fewer cores, I was surprised at the magnitude of savings found. The results weren’t even exclusive to Arnold used to render in 3ds Max and Maya. The results reflected the times for Arnold to render as a standalone solution too. In both tests, Arnold rendered faster on the systems with more cores—179-percent and 95-percent faster. The net result of these tests is proof that Intel® processors with more cores and embedded technologies, whether Intel® Xeon® Scalable processors or Intel® Core™ i9 processors, handle CPU-intensive workloads faster than processors with fewer cores. Artists, architects, and engineers who animate, model, or create immersive VR experiences can spend more time working and less time waiting for their work to render when they use systems with more Intel® cores and embedded Intel® technologies. You can see the full results of the testing done here. 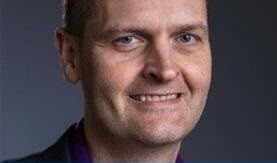 You might also enjoy my previous post, “Intel Xeon Processors Help Autodesk Turn 2D Images into 3D Models at Lightning Speeds,” which looks at how Autodesk harnesses the power of Intel processors for the creation of 3D AEC projects. And don’t forget to follow me and my growing #TechTim community on Twitter: @TimIntel. 1 Comparing the results workstations running the specified workloads with the specified software. Configuration baselines: HP Z8 G4 Workstation*, two Intel® Xeon® Platinum 8180M processors (2.50 GHz, 28 cores, 56 threads) for rendering a character animation rendered in 4K using the Arnold 5 renderer in Autodesk Maya 2018* and rendering the scene of a room in the Arnold 5 renderer. Compared to: HP Z4 G4 Workstation, one Intel Xeon processor W-2195 (2.30 GHz, 18 cores, 36 threads) for rendering a character animation rendered in 4K using the Arnold 5 renderer in Autodesk Maya 2018 and rendering the scene of a room in the Arnold 5 renderer. HP OMEN X 900-2XX*, one Intel® Core™ i9-7900X X-series processor (3.30 GHz, 10 cores, 20 threads) for rendering an Autodesk Revit* model imported into Autodesk 3ds Max 2018* of a building walkthrough scene using the Arnold 5 renderer and rendering the scene of a room in the Arnold 5 renderer. Compared to: HP OMEN 880-P1XX, one Intel Core i7-8700 processor (3.20 GHz, 6 cores, 12 threads) for rendering a Revit model imported into 3ds Max 2018 of a building walkthrough scene using the Arnold 5 renderer and rendering the scene of a room in the Arnold 5 renderer. 2 Autodesk. “Autodesk Wins are Twofold this Awards Season.” February 2017. http://news.autodesk.com/2017-02-23-autodesk-wins-are-twofold-this-awards-season. 3 BusinessWire. “Autodesk on Its Way to a Hat Trick this Awards Season.” February 2016. businesswire.com/news/home/20160226005144/en/Autodesk-Hat-Trick-Awards-Season. 4 Intel. “Accelerate Your Compute-Intensive Workloads.” intel.com/content/www/us/en/architecture-and-technology/avx-512-overview.html. Previous article:Another alarm rings: Retail fulfillment in an on-demand world.